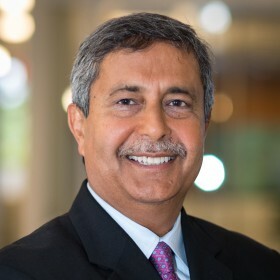 Mr. Mehrotra joined Micron in May 2017, after a long and distinguished career at SanDisk Corporation where he led the company from start-up in 1988 until its eventual sale in 2016. In addition to being a SanDisk co-founder, Mr. Mehrotra served as its president and CEO from 2011 to 2016, overseeing its growth to an industry-leading Fortune 500 company. Prior to SanDisk, Mr. Mehrotra held design engineering positions at Integrated Device Technology, Inc., SEEQ Technology and Intel Corporation. Mr. Mehrotra earned both bachelor’s and master’s degrees in electrical engineering and computer science from the University of California, Berkeley and is a graduate of the Stanford Graduate School of Business Executive Program (SEP). He served on the board of directors of Cavium, Inc., from 2009 to 2018. Mr. Mehrotra holds more than 70 patents and has published articles in the areas of nonvolatile memory design and flash memory systems.